R.A.D. 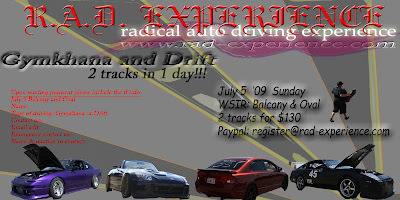 Experience: 2 Tracks in 1 Day!!! Gymkhana and Drift in Balcony and Oval!! !